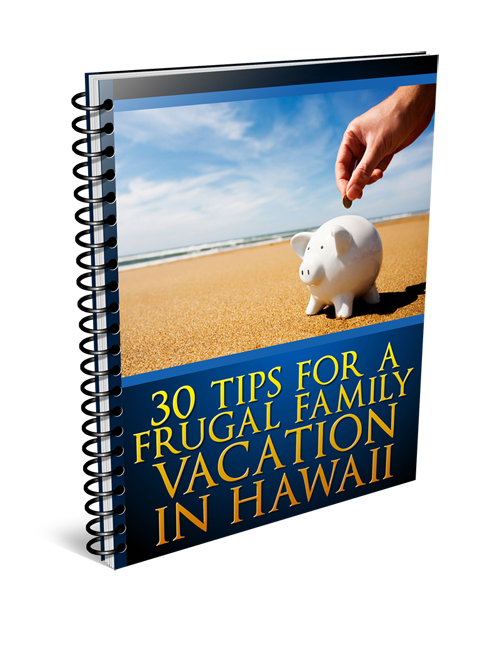 Honolulu isn’t exactly known for being a cheap place to spend a holiday, but by doing a little planning ahead,families can still have a lot of fun while not shelling out a ton of cash. If you’re looking for family-friendly adventures that won’t cost an arm and a leg, here are three great excursions to consider. Before reading on, if you want access to the hottest deals on activities in Hawaii, you will love HawaiiActive. HawaiiActive offer a 100 percent satisfaction guarantee on all bookings. Check them out now and book your Hawaiian activities with confidence. You can’t visit Hawaii without spending some time in its spectacular waters, and Hanauma Bay in Honolulu is the best place on the island of Oahu to go snorkelling. The bay is protected on three sides by the encompassing cliffs, resulting in remarkably clear and calm waters. This was the first Marine Life Conservation District in the state and is the safest area for beginners to view a wide variety of brilliant tropical fish, live coral and sea turtles up close. For parents who want to sit back and relax, the beach is consistently rated as one of the best in the nation, perfect for sunbathing, reading a book or just taking in the spectacular views while the kids get out and play. Bring a picnic and spend the whole day here – kids 12 and under are free, while entrance fees for adults are $7.50, and parking is $1. It’s a steep walk down to the beach, but if you have very small children, elderly or anyone who has difficulty walking, there is a shuttle that will take you there for $1 to get down and $1.25 up. Buy an underwater camera, and you can create your own inexpensive souvenirs with pictures of the incredible marine life. There are 400 species of fish that are known to inhabit the waters here, including parrot fish, tang, butterfly fish, jacks, eels and many others. The USS Bowfin Submarine Museum & Park is a wonderful place for the whole family to visit. For just a $10 admission for adults and $3 for children ages 4-12, you’ll take a tour inside a World War II era submarine and discover how the crew lived and functioned during their tour of duty. The many fascinating heroic tasks that were performed are sure to inspire. There is a lot to see here, making it easy to imagine the lives that were lived and lost, as well as the many obstacles they had to face on a daily basis. Keep in mind that there are narrow stairways and tight quarters in the submarine; it may not be appropriate for those with severe claustrophobia and kids under 4 are only allowed into the museum and park and cannot board the sub. The aquarium is located just down the street from Waikiki Beach and is a wonderful way to spend the afternoon, or even an entire day. Adult admission is $9, youths 13-17 pay $4, and kids 5-12 are just $2. The aquarium is staffed with experts who tend to be very friendly and willing to share their knowledge about the amazing and varied creatures housed here. There are even two Hawaiian monk seals, a rare type of seal found only among the islands, and they seem to really enjoy hamming it up for the crowds. With hundreds of different fish, kids and adults of all ages will likely find themselves mesmerised by the different shapes, colors and sizes. Live coral, giant sea clams, jellyfish displays and even the very rare peppermint angelfish can be seen. Acquired in the spring of 2012, it’s the only one currently in captivity available for public viewing. The zoo is right next door to the aquarium, making it easy to divide your time between both or spend a day at each. Parking is only 25 cents an hour in the zoo lot, while admission for adults is $14 and $6 for kids 3-12. This is a fantastic zoo and is often free of crowds with most spending their time on Waikiki Beach. Take a behind-the-scenes tour with zookeepers, and bring the little ones to meet a menagerie of farm animals, including goats, pigs, chickens, llamas and a cow. Some of the most popular animal exhibits include giraffes, zebras, tigers, orangutan, elephants, hippopotamus, bears, monkeys and lemurs. This museum has something to offer most everyone, from the extensive collection of Hawaiian artefacts and royal heirlooms of the princess to the Science Adventure Center with an erupting volcano that looks just like the real thing. You can even climb to the top for a birds-eye view of the eruption – hot lava and all. This is a great place to stop in when you first arrive and to learn about the history and culture of the islands in a way that will educate while being fascinating enough to keep the kids from getting bored. These days, doing some online research prior to booking any trip is imperative. With so many options, it’s hard to know where to start, but with my next newsletter, I’ll reveal the five best free online travel resources so you don’t have to dig through all of those sites! Don’t miss it – it’ll be coming soon. Remember to check out Hawaii Active for their 100 percent satisfaction guarantee on all bookings. 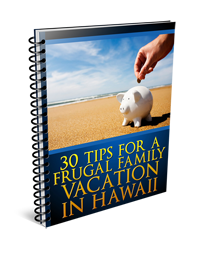 Check them out now and book your Hawaiian activities with confidence.